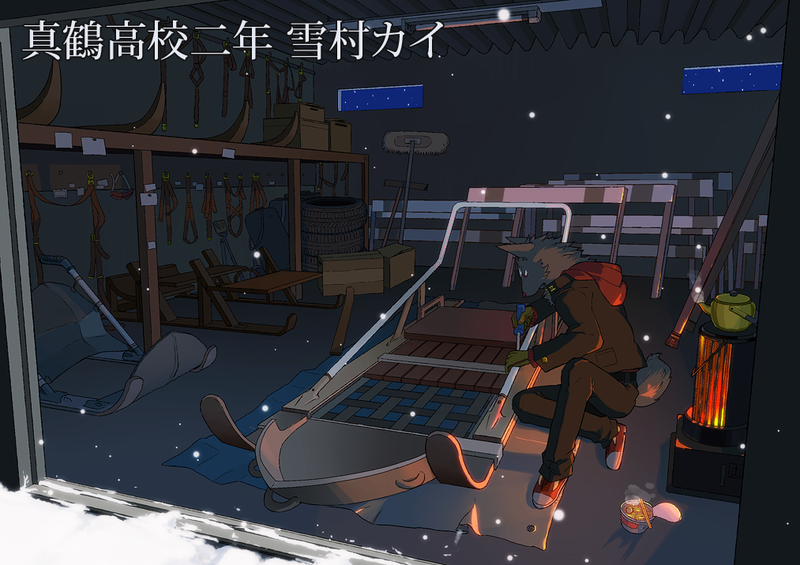 Inuzoribu (Dogsled Club,　犬ぞり部) is a drawing project on twitter mostly active in Japan, booming since the middle of December 2015. "Inuzori" means Dog-sled and "bu" stands for Japanese traditional club activities after school at high school. 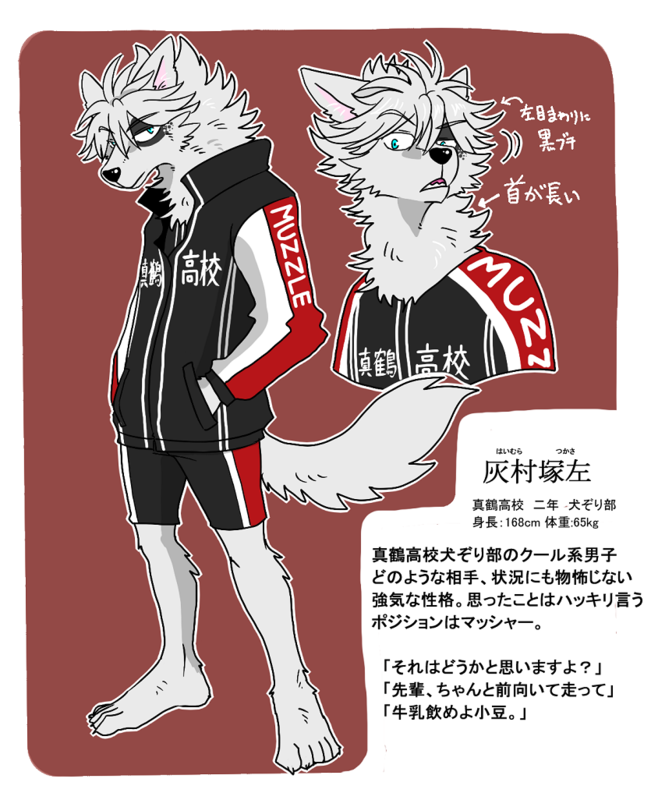 In the world where only furries live, in a boys' school "Juzan High School (獣山高校)", members of Inuzoribu commit on dog-sled races wearing harness on their naked bodies. As same as the real dog-sled races, all members are separated into each positions like Masher, Wheel, Swing, and Lead (With some exceptions like managers). Artists create their own characters and let them join a favorite high school, and then communicate with other artists. As the real sports each clubs participate in racing, however the scene of racing is not necessary when they draw pictures and comics. They are supposed to post with hashtag "#犬ぞり部". The main and most prominent team is Juzan High School, in which over 180 characters are registered (28 Jan 2016). Adding to this, there are two unofficial teams. The one is Mazuru High School (真鶴高校) produced by Watakatsu (わたかつ), and the other is Koumi High School (狗海高校) produced by Inuo Sameshiki (鮫式犬雄). The number of the members of both Mazuru and Koumi approximately is around 30. 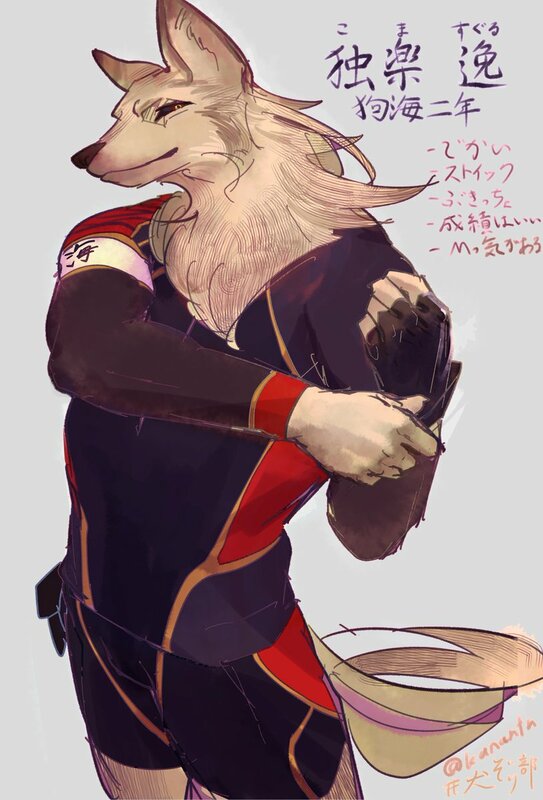 All characters are supposed to be male and dognute, however Women's Dogsled Club (女子犬ぞり部) are also available in the different hashtag (#女子犬ぞり部), and moreover Yotsu-ashi Inuzori-bu (四足犬ぞり部　Quadrupe Dogsled Club), in which non-anthropomorphic doggy characters are available, is unofficially launched (approximately 40 members are subscribed). All pictures and comics are for all ages. If artists want to draw artwork for adults, they have to add hashtag "#犬反り部" and never "#犬ぞり部". 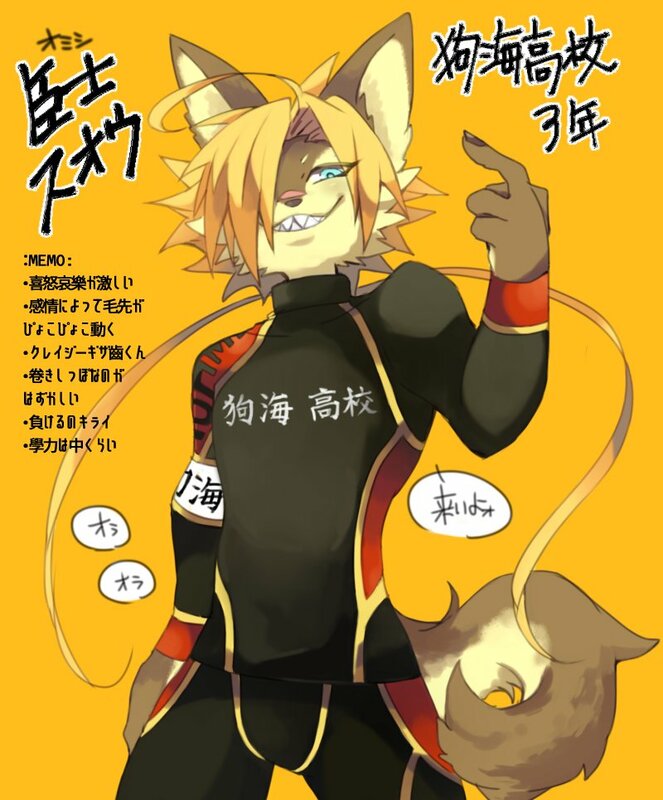 On 6 December 2015, Japanese doujin artist Rankiti (ランキチ, aka. 蘭晶=零) tweeted harness with human which are absolutely adult toys. 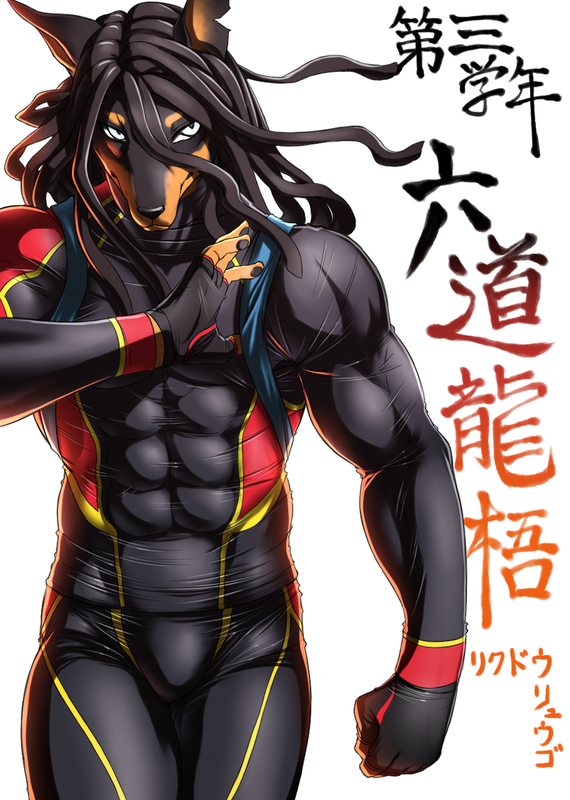 And artist Azuki (あずき) drew an illustlation of dognute with harness , and on 9 December he designed and produced uniforms. Other Japanese furry/kemono artists seeing them, especially from 9 to 16 December, uploaded their own characters. Throughout at the second half of December in 2015 and the first half of January in 2016 around 200 people subscribed. In there, the most renowned Japanese kemono/furry artists are included. Each names are followed by those of their authors. In any cases, family-names are followed after first-names. ↑ https://twitter.com/rankiti/status/676257078009184256/photo/1 Original tweet seems to be deleted.